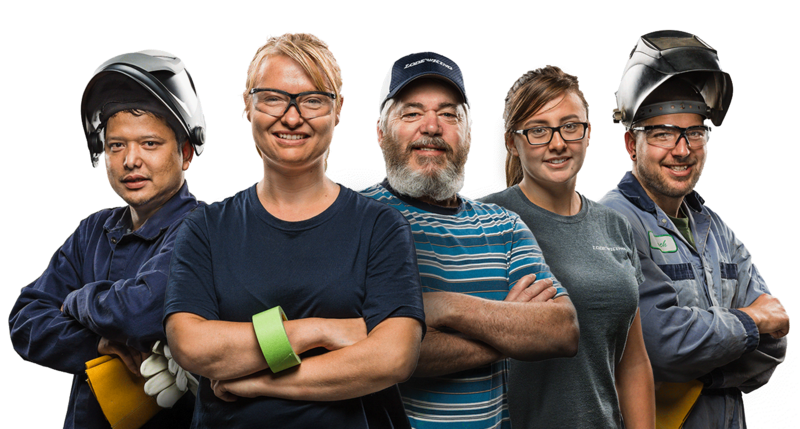 A career at Lode King Industries means you will be building industry-leading products alongside a team of friendly and passionate people. We began building trailers in Winkler, Manitoba in 1980. 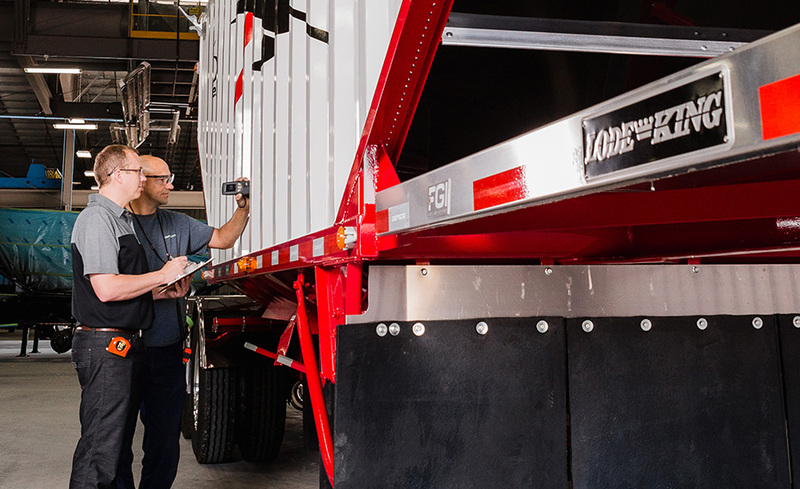 From a small manufacturing facility with a hopper bottom grain trailer as its only product, Lode King has grown to become Western Canada’s largest highway transport trailer manufacturer. A proud, dedicated, and loyal team working towards a common goal is the key to our long-lasting growth and success. Lode King Industries is a family business through and through. We treat everyone who works here like family and make an effort to build relationships with our peers. Why? 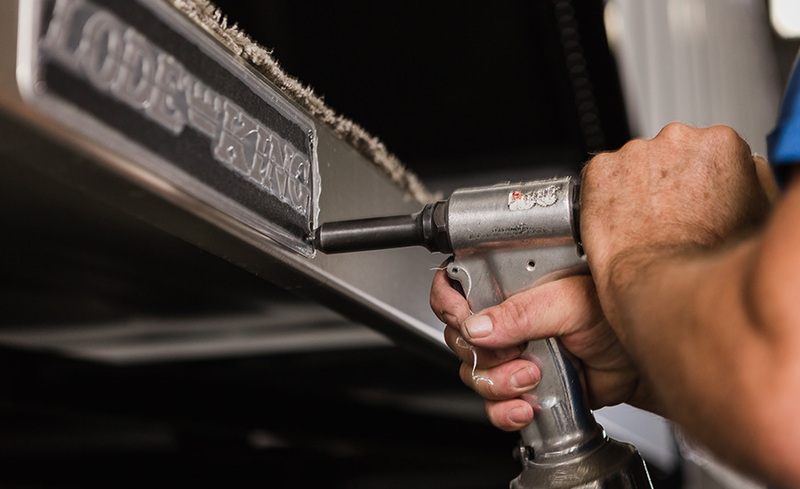 Because the quality of a well-made Lode King trailer actually comes from our people. People like you. As a Lode King employee, you’ll be part of our pension plan and receive an extended health coverage package for yourself, spouse and children. This includes medical, dental, life insurance, prescription drug benefits, travel insurance, short and long-term disability, accidental death, dismemberment coverage and more. 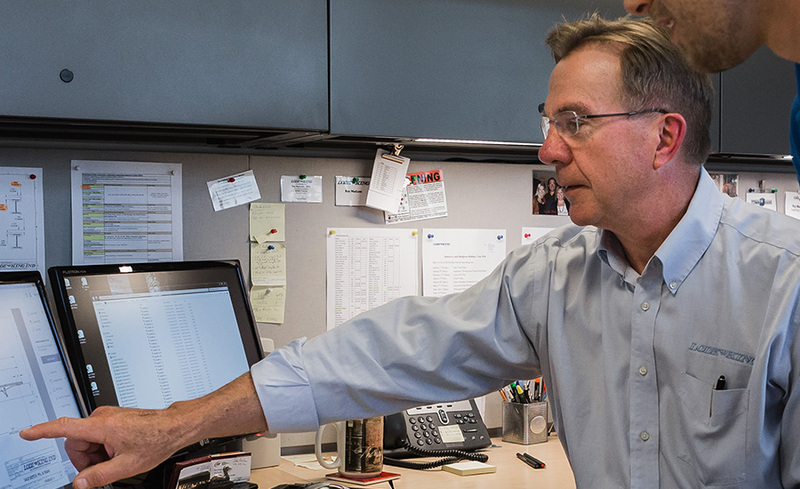 Employee training and job growth are important aspects of what we do. We believe in every single person on our team and in helping them achieve their goals. Positions are all posted internally and we have a further education program available for approved courses. We are committed to maintaining and promoting a safe and healthy workplace for all and together achieving our goal of “no-one gets hurt”. 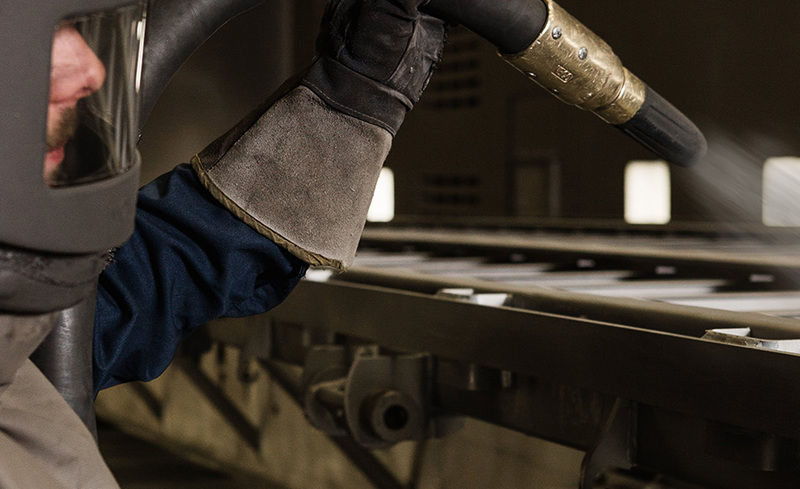 We are actively committed to maintaining one of the cleanest and safest workspaces around. 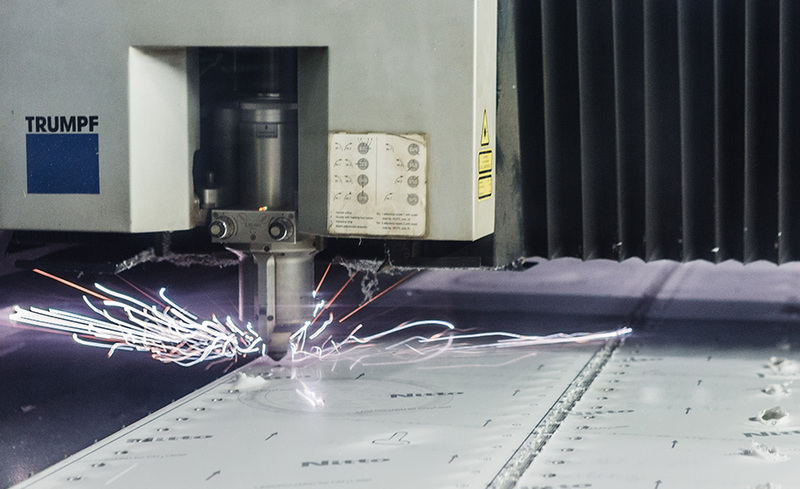 Think manufacturing is all about working weekends? Not here. Our hours are Monday to Friday, 7:00am - 3:30 pm. Perfect for families or those who enjoy a set routine. We also have a small, permanent evening shift for anyone looking for alternative hours from 4:00 pm - 2:30 am, in 4 to 10-hour shifts. 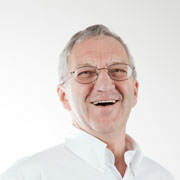 I have been with Lode King for 30 years now and have enjoyed working for the company. Even through all the challenges I have been through it has still been enjoyable. I have enjoyed working with all the employees and staff. My wife and I really enjoyed the trip to Mexico for working for the company for 20 years. It was an amazing trip and I want to thank the company for the trip. Thank you for showing your appreciation for my loyalty and service to Lode King. I also want to thank you for all the banquets and picnics over the years. They are very much appreciated, especially the good food and fellowship with the workers and staff. Overall, a big thank you to everyone. Lode King Industries over the years has built a variety of products of which include; grain trailers, platform & drop deck trailers, grain bins, aeration kits, drill fills, tarp kits, combine parts, swather parts, cabs, fuel tanks, farm truck boxes, potato boxes & trailers, beet trailers, chicken trailers & cages, gravel trailers and more. 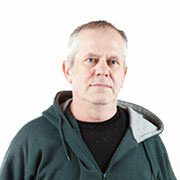 To make all this happen purchasing personnel made many phone calls, searched catalogues and the internet. We have seen lead-hands and production managers scratch their heads and sometimes walk in circles, workers pinch their noses when resizing chicken cages, but the work got done! Social events have always been important! There were Christmas banquets, picnics and BBQ lunches. On December 18, 1980 'the first annual' Christmas banquet as Terry Elias put it, we were about of three dozen people including employees, spouses and one baby two weeks old. Today we have 743 people signed up to come to the Lode King picnic. "Do you know so & so that works at Lode-King? Thank you for coming along!" The first Christmas banquet of 25 employees was held in the back room of the Golf Course restaurant with the entertainment being table games brought by the staff . Today, with over 300 employees the banquet is held in the largest facility possible in Winkler. From the first simple "High Boy" painted with an airless sprayer to the new "Heavy Hauler" painted with the most sophisticated equipment available. From the original "LHV" to the All Aluminum "Distinction" grain trailer. From manufacturing 2 to 3 trailers a week to the amount we produce today. No trailer has left the business until it is as right as possible. The one thing that has stayed fairly constant is the eye for quality. Feedback was for the most part positive and if it wasn't it was corrected. We had to be completely happy with the product before we let the customer have it. This is what I think has made the company what it is today, and it can only get better. The objective of this position is to provide leadership in assisting the supervisor and manager and to assist employees in developing their skills and performing their tasks to Lode King’s acceptable standards and quality. Responsible for assisting the supervisor to oversee the day to day work activities with special attention to safety, quality, work distribution, and availability of parts within the department. Responsible together with Supervisor in developing workloads in each area. (help determine appropriate job for each employee). Organized and distribute the various jobs. Instruct techniques or methods of the job to the employees. Ensure employees understand and follow job specific Safe Work Procedures, Work Instructions and JHA’s and understand and follow company safety policies and maintain a safe work environment at all times. Responsible for assisting employees with technical difficulties and communicate with supervisor/manager regarding engineering issues. 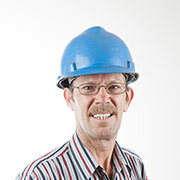 Responsible to ensure testing and inspections are completed and maintaining the standard of quality workmanship. Assist in developing and making recommendations for improving work flow and processes. Holding employees accountable for quality, production, safety and time management, while positively reinforcing successful performance. Assist in employee performance reviews. Ensure that all communication with staff is clear and respectful. The key to this position are good people skills, as well as good written and verbal communication. Must show good leadership skills and be a positive role model. Responsible to communicate with Supervisor in all applicable matters. Assign daily tasks to employees within the department. Specific scheduling of work load for the department. Promote and assure compliance to Lode-King’s policies and quality standards. Ability to regularly lift and or move up to 25 lbs, occasionally lift and or move up to 50 lbs. Will be required to be on feet most of the day, reach within hands and arms length, stoop, kneel and crouch. Ability to read and use measuring devises like tape measures and have basic math knowledge. Requires reading and interpreting construction plans and specifications, as well as assisting in schedule sequencing, tracking and updating. Must be detail-oriented, well organized and able to prioritize duties to meet assigned deadlines. Must be a team player who is able to communicate clearly and effectively and assist project teams with work when they are busy. Proficiency in Microsoft Office is also a requirement. Our office positions are generally for administrative functions such as answering phones, ordering office supplies, paying bills, completing check register and managing all office activities and administration. Responsible for ordering and organizing marketing materials, distributing materials and mailings, helping coordinate trade shows and events for specific regions. Must be able to to read and understand basic blueprints and work instructions. Must also be able to read tape measures and operate equipment, power tools and hand tools safely. Requires a full range of body motion, to be able to bend, lift and stand for extended periods of time. 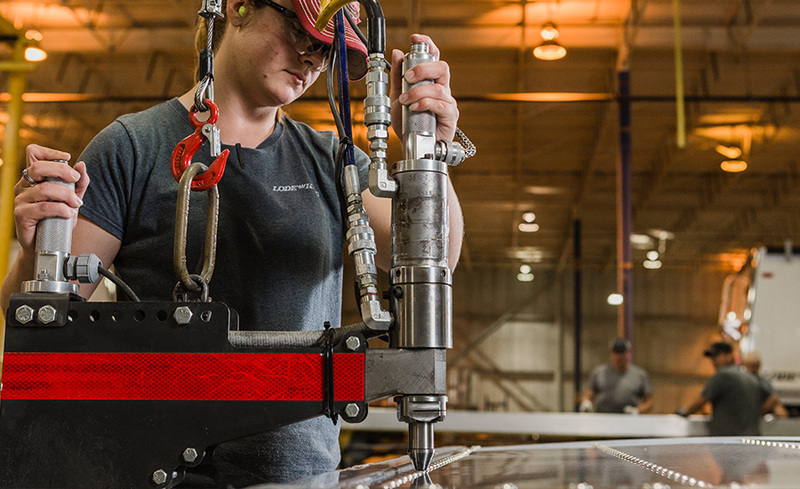 Shot blasts parts and assemblies to prepare them for finishing and painting, Must be able to meet predefined production standards, schedules and quality requirements. 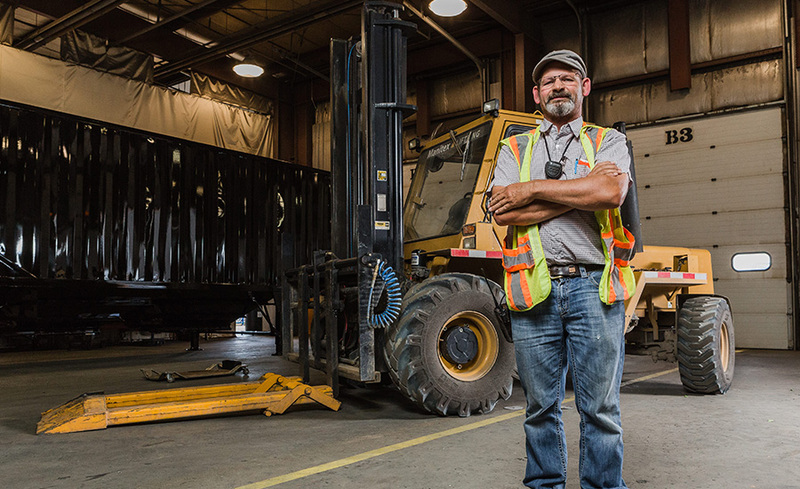 Plays a key role in the smooth running of our manufacturing facilities by helping to move goods, supplies and materials from one place to another – onto and off shelves, trucks, pallets, etc. – while adhering to strict government and company safety standards. 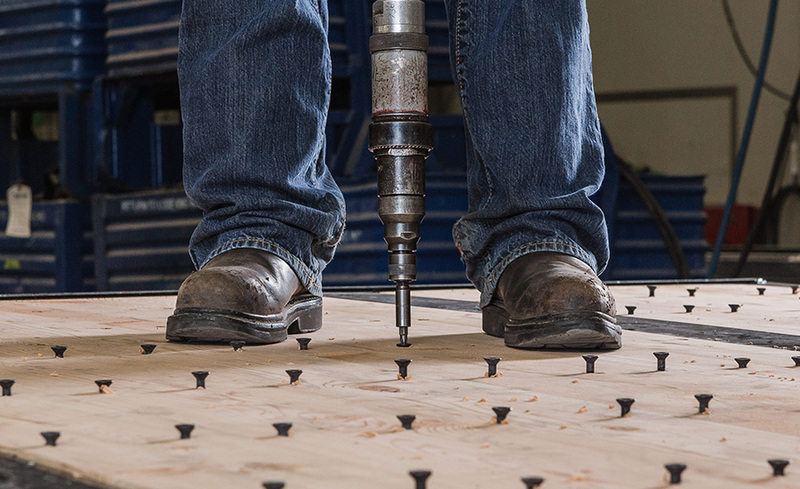 Rivets structural members, assemblies and parts of trailers, using portable riveting, dimpling, and drilling machines and handtools. Must be able to read work orders, blueprints and operation sheets to determine sequence of operations and type size and hole pattern of rivets. 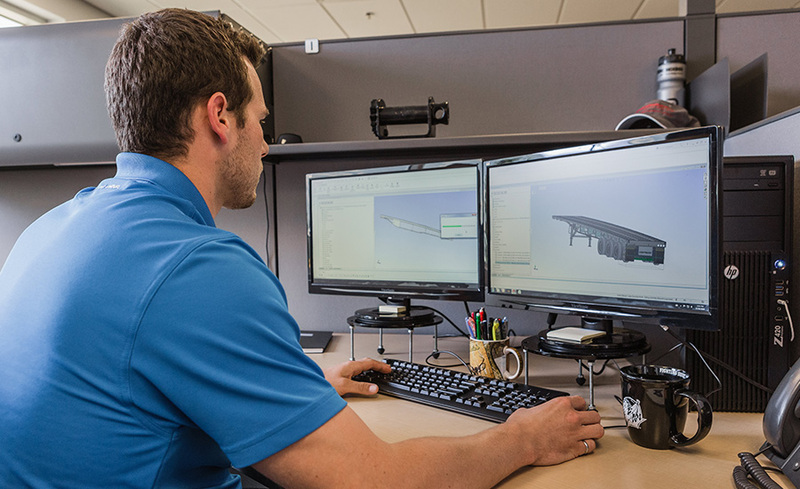 Our quality control inspectors maintain quality standards by approving incoming materials, in-process production, and finished products, then recording the results of the inspection. High school diploma or equivalent is required. 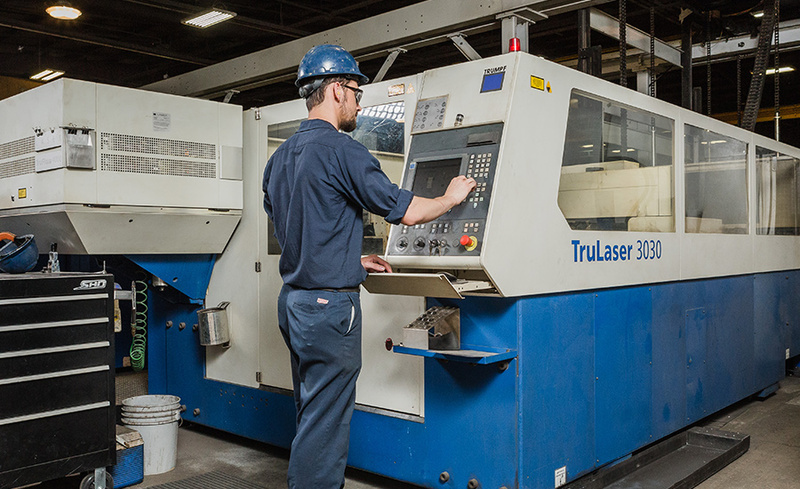 Produces machined parts by programming, setting up, and operating a computer numerical control (CNC) machine, maintaining quality and safety standards, keeping records, maintaining equipment and supplies. 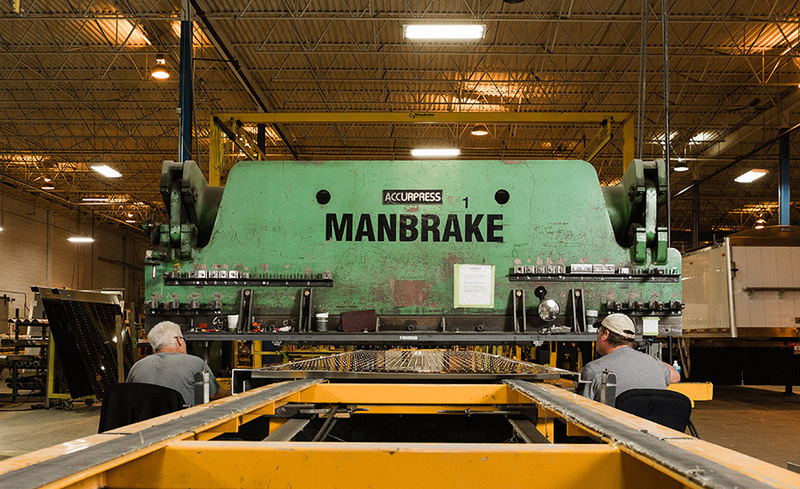 Follows assembly blueprints to build metal and wood trailers from prefabricated parts, including some or all of the following tasks: laying out, fitting, drilling, screwing, bolting, and riveting together metal sheeting, upright frames, bottom and top bars, and angle clips, using pneumatic and hydraulic handtools and machines, and templates. As a painter you will learn the art and practice of painting Lode King trailers. 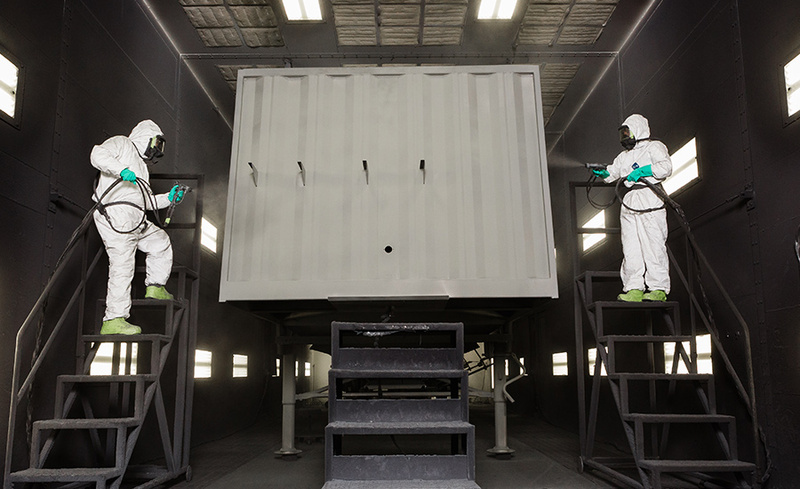 Our painters work in teams to prep and paint our high quality trailers. You must be physically fit to perform this job. All applicants for this position are subject to an internal welding test. You must have good hand-eye coordination and the ability to perform quality workmanship. 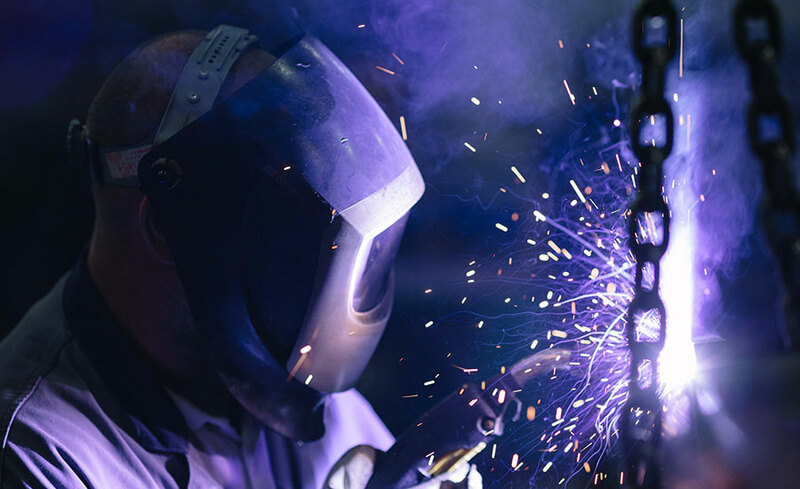 All welders at Lode King are required to be CWB tested and obtain tickets specific to Lode King’s needs. This state-of-the-art equipment needs to be operated by an independent thinker who can carry out instructions in a timely fashion. This person must be able to handle a wide variety of issues and the pressures of meeting deadlines. Our outfitters must be able to lift up to 50 lbs and also have painting experience. They need to know how to use power tools safely while working both independently and as a team member. Must be able to work at a fast pace, maintain an upbeat attitude at work, and arrive at work on time. Wood and metalworking skills an asset. This position involves bending or cutting metal parts that are then assembled to create a Lode King trailer. The operator must be able to understand instructions and work both independently and as a team member. This exciting entry-level position provides everyone with the opportunity to learn about our business from the ground up. This is a great opportunity to become familiar with a variety of our trailers.